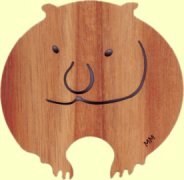 Wombat and platypus wooden Christmas decoration set is cut from highest quality Australian timber and will give a festive Australian touch to any Christmas tree. 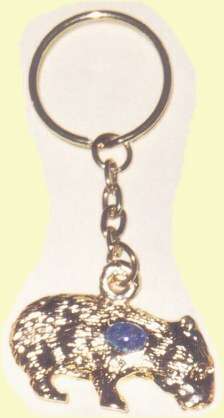 Australian made gold plated pewter wombat key chain with Australian opal chips in a small souvenir plastic box. Wombat size is 1 1/2inch (35mm). 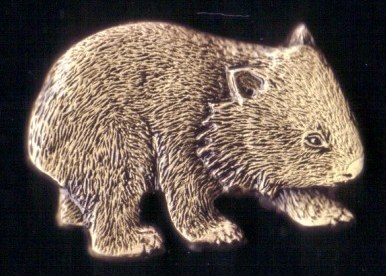 Bronze lapel / hat wombat pins. 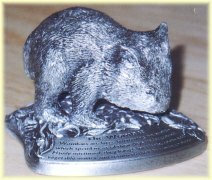 This detailed figurine of a wombat is made of Australian pewter in Tasmania.